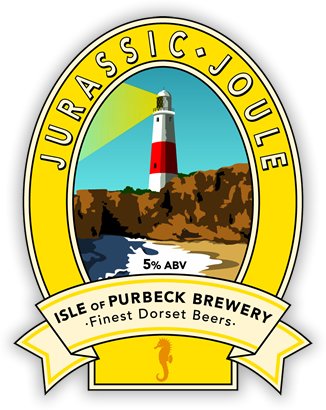 Isle of Purbeck’s Jurassic Joule | DorsetBreweries.com - A Guide to Dorset Breweries and Dorset Beers! A lustrous tawny beer with a zingy fresh hop aroma reminiscent of Spring days ahead. A carefully balanced mix of pale, cara and crystal malts all blend for a perfectly smooth and deliciously quaffable ale.